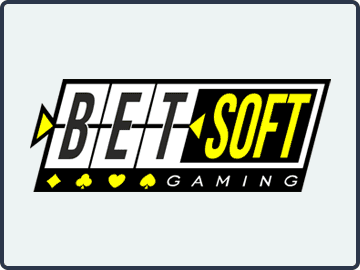 BetSoft produces some visually impressive online casino games, but they have a scandal-filled past that makes some players uncomfortable. BetSoft is much like Net Entertainment in the sense that they rose in popularity due to building extremely high-quality online slots. They’ve been running since back in 1999, but they were little-known until the period of around 2011-2012 when they started focusing on games with a much higher level of quality than virtually anything else running in the industry at the time. At this time, BetSoft has a license to operate from Curacao, which they have had since the fall of 2014. The story behind that licensing situation is an interesting one, and it’s definitely something that players need to hear, so we’ve elaborated on it down below. It’s worth noting that this company has had a few scandals in its past that have made some players question whether or not they can be fully trusted. However, they also accept US players, making them the most high-quality software provider for Americans at the time of this writing, which is definitely worth keeping in mind. Good, regular promotions that often include reload bonuses, free spins, free chips, cashback rewards and other goodies. BetSoft’s games can be easily integrated into other software platforms, so having them available along with games from other developers is always a plus. Casino sites that have their own independent audits and testing will give players added peace of mind in light of some of the things that we’re going to discuss below. The bottom line is that the best BetSoft casinos will offer players everything that they need to have an excellent overall experience, no matter what it is they’re looking to play. There aren’t all that many casino sites that only use the BetSoft titles. Along these lines, you’ll frequently see their games integrated through their instant play/no download with those from another provider, typically Net Entertainment (who is also known for high-quality games) or the Microgaming Quickfire platform (which is designed to be compatible with third-party titles). Their instant play games load up relatively quickly considering the high level of graphics that go into a lot of these titles, and you can play them from any type of computer that has an Internet connection. This includes Windows-, Mac- and Linux-based computers. In terms of mobile options, BetSoft launched a special “To Go” series in 2012. While you can play their normal web-based interface games on many mobile devices, the To Go line took their most popular titles and gave them a different set of controls that are designed to work better on smartphones and tablets, especially with the touchscreen interface. The end result is some of the most high-quality mobile games that you’ll find anywhere online. Exceptionally high-quality graphics, usually in some form of 3D render or other type of 3D approach. A variety of bonus features found within the same game, often stage-based where you can pass through multiple slot stages to get different payouts. A lot of different betting options to help you customize the exact size of your wager. Their slots also tend to be low-volatility affairs, though they do have some progressive games that obviously have a higher volatility along these lines. BetSoft online slots are up there with the best of them in the industry as a whole, though they also have some classic slots and older video slots that definitely show their age as well. Even though this company is known primarily for the quality of their slots, they also have a really good selection of other types of games. Their Baccarat, blackjack, craps and roulette tables look really good, though they all have the standard rules. There are a few different types of blackjack available, all of which offer a maximum payout rate of over 99 percent for correct play, which is fairly impressive. Other than a few different casino poker games, they also have well over a dozen different styles of video poker. The best option is “Split Way Royal” with its 99.8 percent payout rate with correct play, and they have six different video poker titles that can pay out over 99 percent. These are some really good pays overall, and to round out their selection, they offer up some other card-based table games like Draw Hi/Lo, Red Dog and Poker 3. While there is a lot to get excited about with BetSoft’s games and platforms, there are some things from their past that aren’t exactly exciting. We’re going to cover a few of those things here. First and foremost, they unexplicably lost their license with the Alderney Gambling Control Commission after being suspended in 2014. While no reason was ever publicly stated, this is very concerning because Alderney is considered to be one of the most reputable jurisdictions in the industry, and they don’t take this type of action lightly. They were given a chance to appeal, but instead, BetSoft simply turned over their license by choice. Because there was no appeal, the public never found out what this was about. Second, it’s been statistically proven that they have manipulated certain progressive jackpot games from time to time. The studies that show this have been published in various places on the Internet, but it’s clear that they have changed the odds of winning on some of their progressives in the past for at least weeks at a time to drive up a jackpot value or for some other reason that couldn’t be guessed. What is certain, however, is that the numbers do not lie in this case. Third, and most recent to the time of this writing since it happened in the second quarter of 2016, is that they refused to pay out a player who won a pretty sizable progressive jackpot. It was on the game The Glam Life, a high-quality online slot based on a luxury-based lifestyle. The player in question hit the winning combination during a bonus feature, after which they should have been paid out the jackpot. Instead, they were given a much smaller payout. When the player contacted support, they were given a story that changed multiple times and was ultimately not paid the jackpot for no apparent reason. In light of these scandals, we suggest players exercise caution when playing with BetSoft-powered games. Ideally, players would only get in on the action with these games at reputable online casinos that use software from other providers as well and that get their own independent auditing done of the games. Exceptionally high-quality games with a lot of titles worth choosing from. A really great mobile platform with games that have had their interfaces changed to better suit the mobile environment. A ton of table games to choose from, including a very impressive selection of blackjack, casino poker and video poker. The scandal-filled past of this company is very concerning for players who care about fairness in their games. Many of their older games are extremely dated. As we’ve mentioned before, BetSoft has world-class quality online slots and table games. However, they also have the most scandals of the biggest software providers out there, which will really seem sketchy to plenty of players. With that having been said, they also have the best games of the companies that accept US players, so if you’re from the United States, you might not feel like you have any other option. That aside, if you stick to casinos that have a good reputation outside of the software, then you should be in good hands.